We are excited to announce our litter was born on 3/14/19! This is a proven Ruger X Lacy mating resulting in some of the best offspring we have produced. This will be Lacy's last litter and will be retired. Please contact us to be placed on our waiting list. There are still a few puppies available but filling up fast. 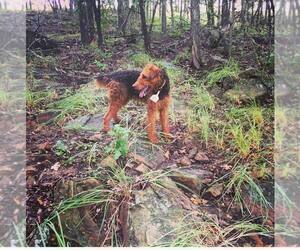 You can find more information on our Facebook page Rock Creek Airedales.